Use caution when removing pigeons from the trap. Wear thick gloves and use both hands to firmly hold the pigeon as you remove it. Place your trap in an area where you have seen pigeons congregating so they will be more likely to investigate. When baiting your trap, sprinkle some seed not only inside the trap but also in the area around it, where the pigeons can see it from the air or from their roost. 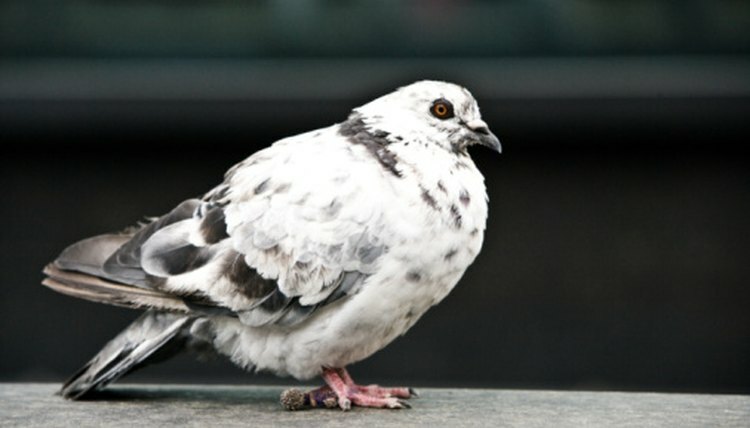 Pigeons can quickly become a nuisance for homeowners and businesses because they make such a mess on rooftops and because they carry diseases. Spikes, pesticides and other deterrents can be used to discourage pigeons from roosting in a certain area, but these measures are only so effective. Sometimes it is necessary to remove the problem entirely by trapping the pigeons and releasing them elsewhere. Simple pigeon traps made out of cardboard boxes are both an inexpensive and effective means of solving a pigeon problem.